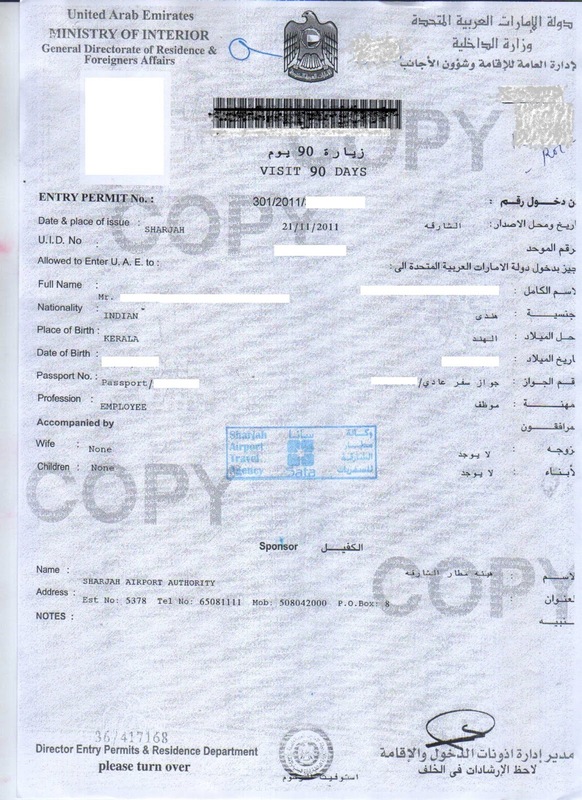 The document requirements for obtaining a visit visa to Dubai depend on your current nationality. Gulf Common Countries citizens does not require a visa to enter Dubai, and citizens of 33 other countries can get a visa on arrival at Dubai Airport. Nationalities that are not in the visa exemption list can get a 30 day tourist visa sponsored by a local agent - such as a hotel, local airline office or tour operator and this should be obtained before entering into Dubai. In general, visit visas are valid for either 30 days (short term visit visa) or 90 days (long term visit visa). Both visas are non-renewable. Also a security deposit of AED 1000 is to be paid by the local sponsor/relative/resident of the visitor which can be reimbursed after the visit visa holder has left the UAE. Multiple-entry visas are available for visitors who have connections with local businesses that require them to visit regularly. Multiple-entry visas are valid for visits of a maximum of 14 days each time, for six months from date of issue. It costs AED 2,100 (plus AED 20 delivery fee) and should be applied for after entering the UAE on a visit visa. Visitors travelling through Dubai in transit travel can get a special transit visa. Some airlines give it free of charge and it is valid for 96 hours. 14 days transit visas are also available and it is chargeable. It is important to note and remember that UAE visa laws may change frequently. Therefore it is always advised that you make sure with the UAE Embassy in your home country before you travel.